Queenie McKenzie’s mother was Malngin/Gurindji and her father was a white horse-breaker. Under the existing policy during the time of her youth, Queenie was at risk of removal by the government to an orphanage—as was the fate of many aboriginal children with mixed parentage at the time. Queenie’s mother, however, managed to prevent the displacement of her child by reportedly blackening her skin with coal, and the young girl grew up working for the stockmen of the cattle station at Texas Downs. Queenie McKenzie lived her entire life in the Shire of Wyndham-East Kimberley, knew the landscape intimately, and is quoted as saying: “Every rock, every hill, every water, I know that place backwards and forwards, up and down, inside out. It’s my country and I got names for every place.”McKenzie took two Aboriginal names, once stating, “my name been grow up from these hills”. Mingmarriya references the country near Dingo Springs on Texas Downs Station East of Warmun (Turkey creek), Western Australia where the artist lived and painted. Queenie McKenzie benefited from the Waringarri Aboriginal Arts Corporation In 1993, Former Arts Minister Peter Foss stated about the organization, “This organisation is doing an enormous amount to ensure that Aboriginal art is respected in terms of copyright and moral rights, and that Aboriginal artists are recompensed properly for their work”. 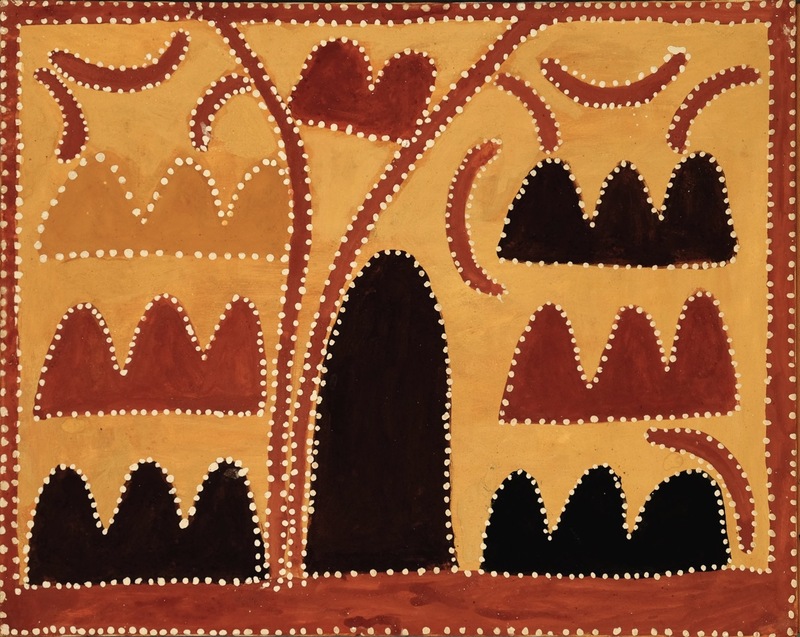 Queenie McKenzie’s art remains among Australia’s most collectible. Her works have been consistently included within The Australian Indigenous Art Market top 100 index, ranking 21st in 2014. Throughout the final years of Queenie’s life, the artist exhibited concern for the cultural future of her community, and wished for the Texas Downs station to be returned to the Texas Mob. Though Queenie died before witnessing her wishes manifest, Queenie’s importance has been recognized by the government of Western Australia, which declared her as a “State Living Treasure” the year of her death. Queenie was included in the Moorditj-Australian Indigenous Cultural Expressions CD ROM, along with other Western Australian artists Jack Davis, Alma Toomath, Betty Egan, Michele Broun, the Pigram Brothers, Footprince, Wayne Barker, Sally Morgan, Jimmy Chi and Mary Pantjiti McLean. In Western Australia, all pastoral land leases are up for renewal or surrender in 2015, including the Texas Downs station. Queenie McKenzie’s art is included in the Holmes à Court Collection.